We would like to invite you and a guest to join us on Sunday, August 31st at Big Apple Pancake House in Lisle. We will have a reception at 9:30 am outside Big Apple to greet each other and then have breakfast at 10am. 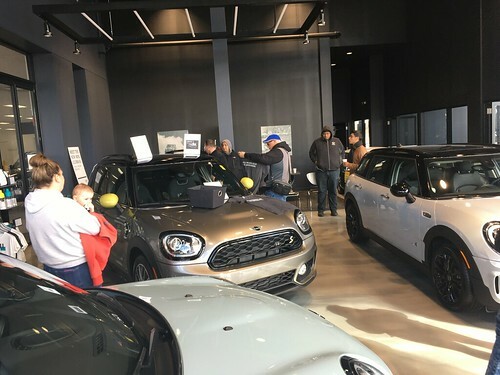 Immediately after breakfast we will have a MINI Road Rally from the Big Apple parking lot at 2799 Maple Ave., Lisle to Bill Jacobs Vintage Reserve at 7501 S. Quincy, Willowbrook. miniroadrally@billjacobs.com as soon as possible. Our Vintagefest Road Rally will follow at 11:15am from the Big Apple parking lot. If you can’t join us for breakfast please join us at our Rally starting point or meet us at noon at Vintage Reserve – Bill Jacobs’ private incredible collection of over 100 vintage automobiles and 1000 auto collectibles. Bill Jacobs collects the classic Mini too. He had one as the centerpiece of his building lobby of his warehouse where all other makes are stored. It’s a must to go. I plan on joining the rally from the pancake house. The event at Bill Jacobs Reserve is in conjuction with Windy City BMW’s annual Vintagefest car show so there will be many Bimmers on display. There was a large turnout last year, so with the MINI rally coming too this could be quite the well attended event. I had a great time today.. Very impressive collection of autos, and fun people to hang out with!! Thanks, CMMC and Bill Jacobs, great breakfast, fabulous cars, MINIS and friends too.